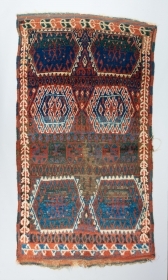 Size : 125 x 135 (cm) 19th century middle Anatolian fragment . 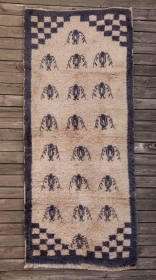 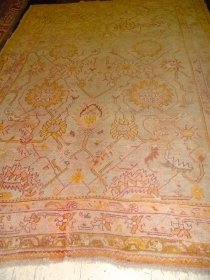 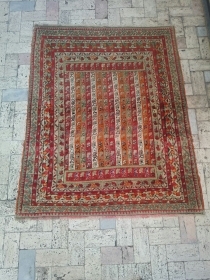 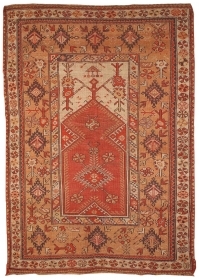 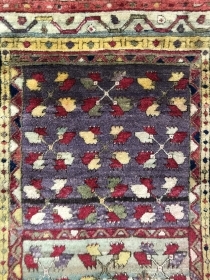 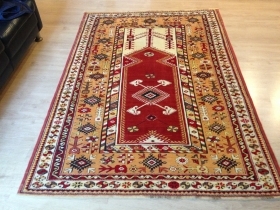 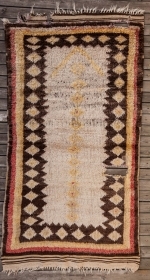 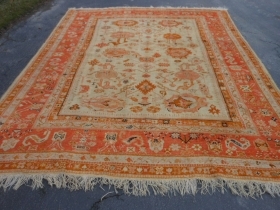 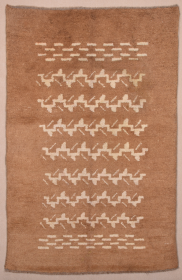 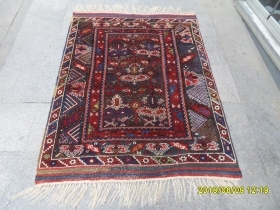 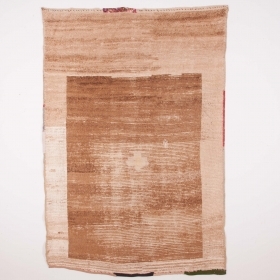 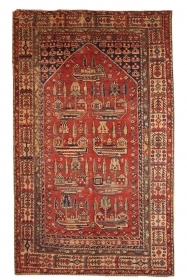 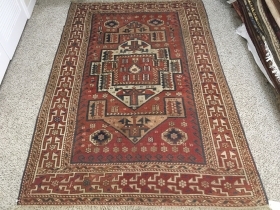 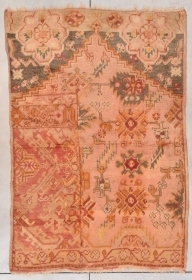 West Anatolian Karakecili rug - 4’1 x 5’2 - 125 x 157 cm. 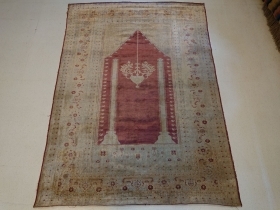 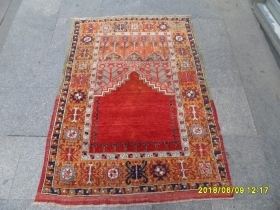 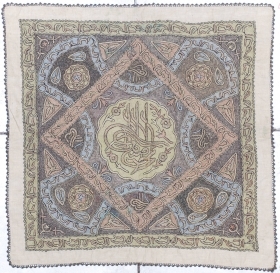 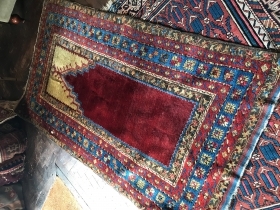 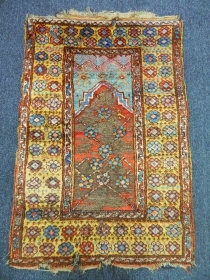 Antique prayer Sivas, silk, m. 1.64 x 1.16, general good condition with some low pile areas. 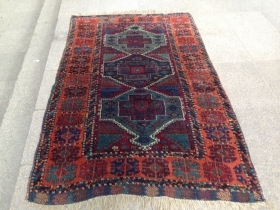 Antique Turkish Oushak. 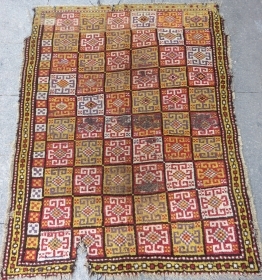 Size 7'x9'6''. 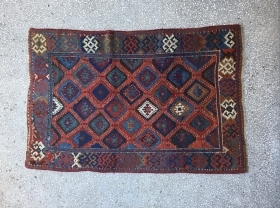 Condition good low even pile. 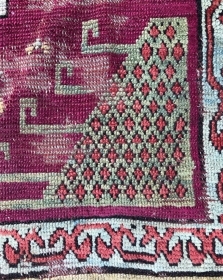 decorative nice colors. 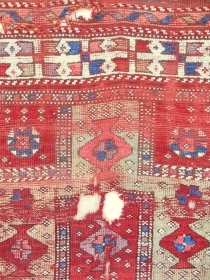 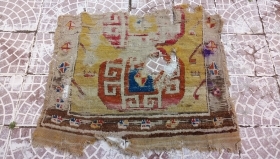 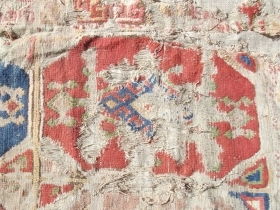 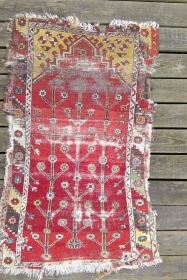 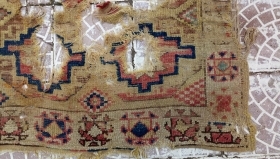 Old Anatolian Prayer Rug fragment, 3 Trees on Red. 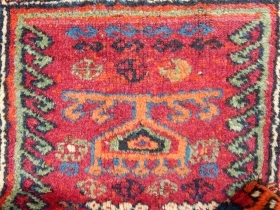 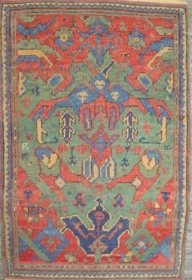 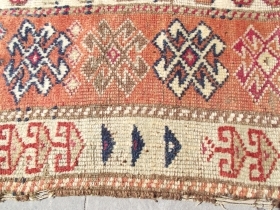 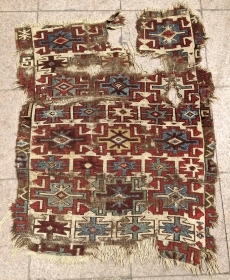 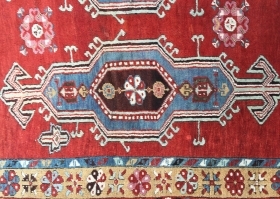 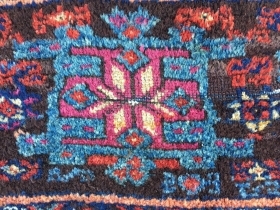 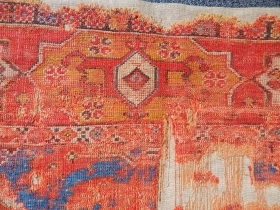 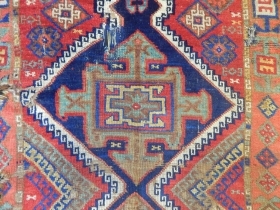 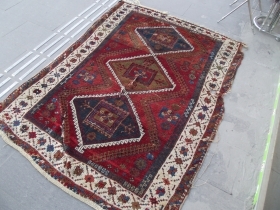 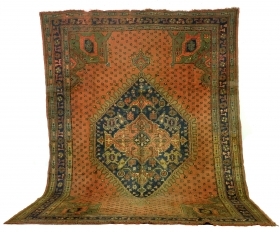 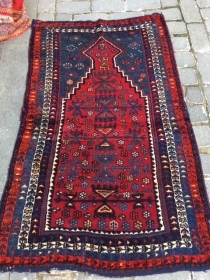 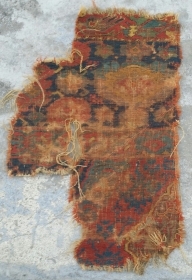 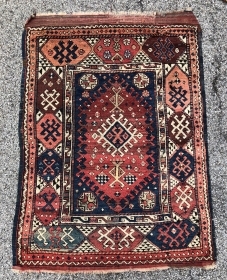 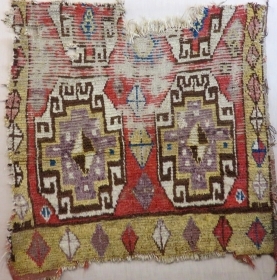 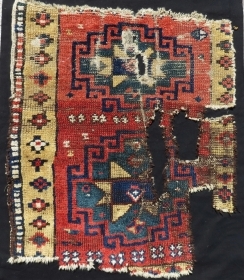 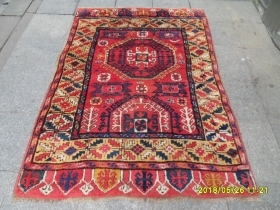 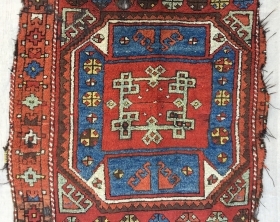 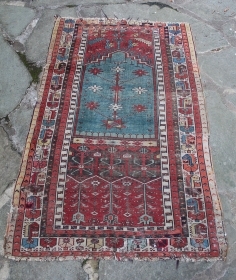 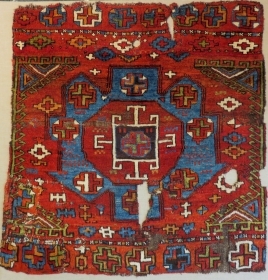 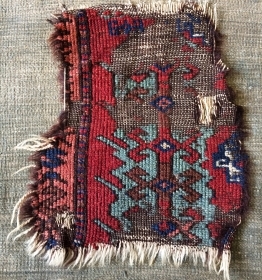 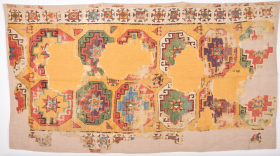 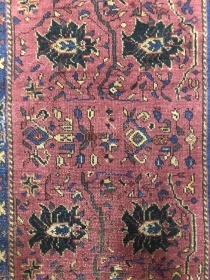 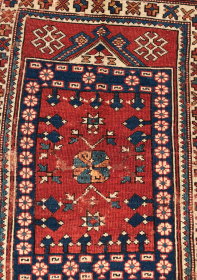 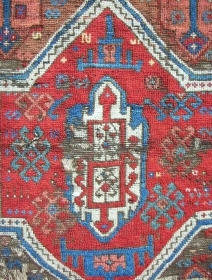 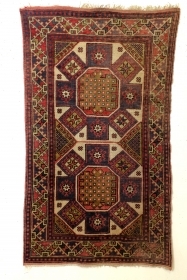 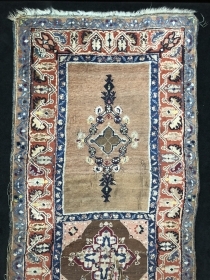 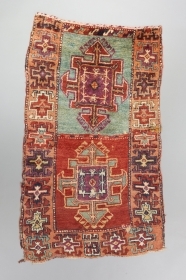 Central Anatolian yastik, circa 1850, fantastic saturated colors. 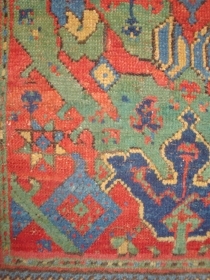 For a similar example, please refer to yastiks by Morehouse, plate 85.